Priyanka Chopra turned heads at Windsor Palace where the actor was present to attend the wedding ceremony of former Suits actor Meghan Markle and Prince Harry. 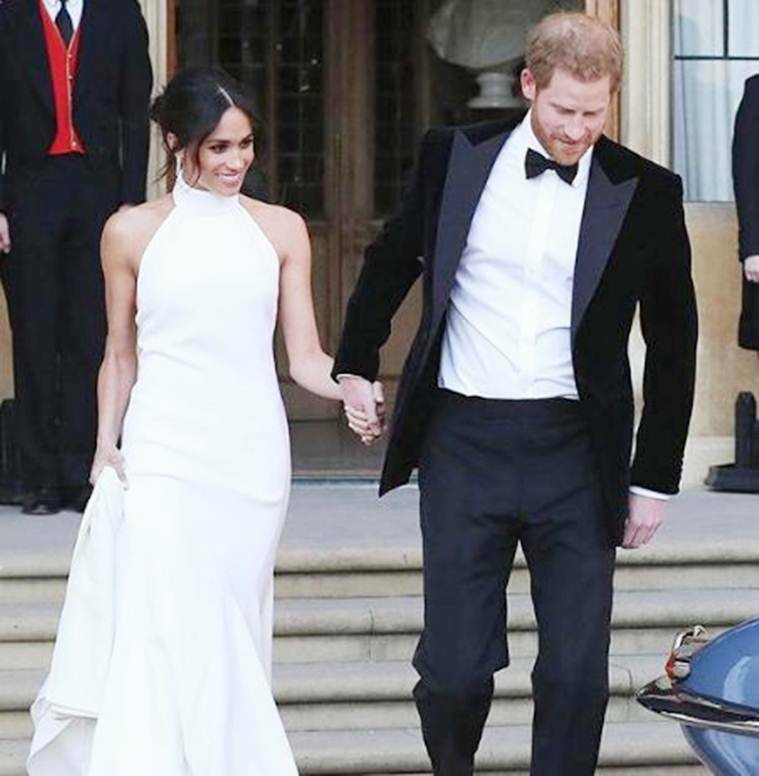 After a fairytale wedding, the newly-married Duke and Duchess of Sussex, Prince Harry and Meghan Markle, slipped into a tuxedo and an evening gown for their intimate reception, which was attended by hundreds of guests. One of the guests who made it to the high-profile function was the ‘desi girl’ Bollywood actor Priyanka Chopra, who marked out to be the only Indian actor at the royal wedding. The actor, after donning a chic lavender suit, opted for an evening gown by Dior, looking like a dream. Priyanka’s designer shared a couple of pictures on her Instagram profile. The intimate evening was hosted by Prince Charles. Earlier in the day, Queen Elizabeth hosted the daytime gathering following the wedding ceremony and procession through Windsor. 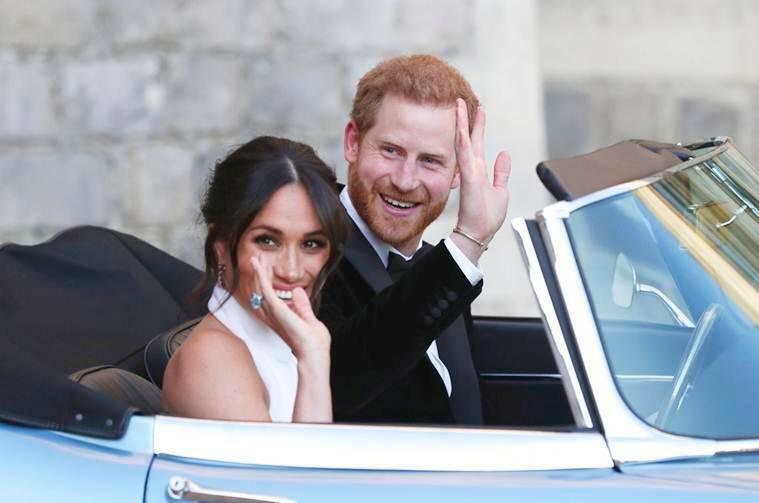 The first reception was held inside Windsor Castle, at St George’s Hall, and all 600 guests who were invited to the ceremony at St. George’s Chapel were present, as reported by People magazine. After walking the bride Meghan Markle down the aisle as she wed his son Prince Harry, Prince Charles shared some heartfelt words with the happy couple at their lunchtime gathering, which was hosted by Queen Elizabeth at St. George’s Hall at Windsor Castle. According to the Daily Mail, Prince Charles spoke about feeding Harry a bottle and changing his nappy. The report further read that while the lavish reception lacked a speech from Meghan’s father who pulled out of proceedings only days before the wedding followed by his ill health, the bride made up for it by giving a speech, in a surprising break from tradition. Meghan Markle and Prince Harry seen exiting Windsor Palace post wedding. Best man Prince William was also expected to give a speech in honour of his brother and new sister-in-law, while also acting as the main speaker for the event. ANI reported, iconic musician Elton John performed at the Lunchtime Reception for guests celebrating the wedding of Prince Harry and Meghan Markle. Prince Harry had asked Elton to perform at the Reception, which was hosted by Her Majesty Queen Elizabeth at St George’s Hall, Windsor Castle, the Kensington Palace confirmed. He performed for the newly married couple in recognition of the close connection he has with Prince Harry and his family. People magazine also reports that Prince Harry received a round of applause and cheers when he referred to Meghan as his wife during his ‘off-the-cuffs’ speech at the evening reception.